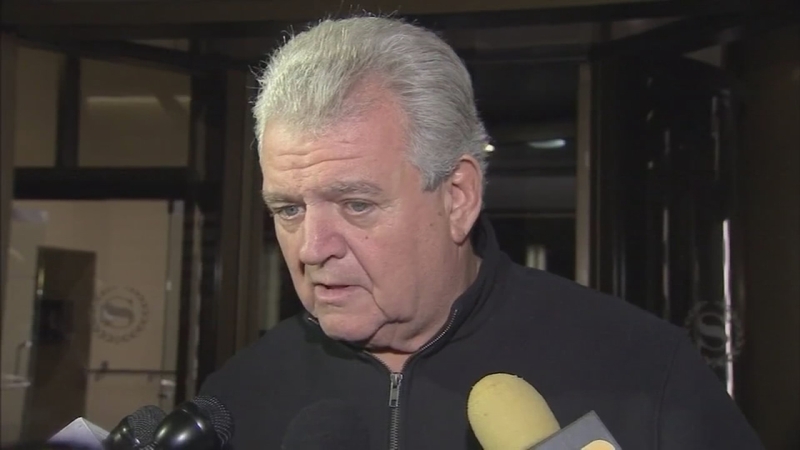 PHILADELPHIA -- Two political consultants have been charged in a widening campaign finance probe involving the 2012 re-election of Democratic U.S. Rep Bob Brady. Federal prosecutors in Philadelphia said Tuesday that Kenneth Smukler and Donald Jones orchestrated a scheme in which the Brady campaign made an illegal $90,000 donation to the campaign of a rival candidate to induce him to drop out of the race. Both men face charges including conspiracy and lying to the FBI. Smukler did not immediately return messages from The Associated Press. Jones told the AP he was unaware he'd been indicted. He had no immediate comment. Brady has denied wrongdoing, and he hasn't been charged. The rival candidate and his campaign aide have already pleaded guilty. Prosecutors say the money from the Brady campaign was supposed to be used to cover candidate Jimmie Moore's campaign debt.